6 Cavity Arkansas Flash, Bait measures 2.846" overall length, Body diameter of 3/8" x 1.17" Length, Tail is .06 thick with the veins at .07 thickness, Tails widest point at .41". 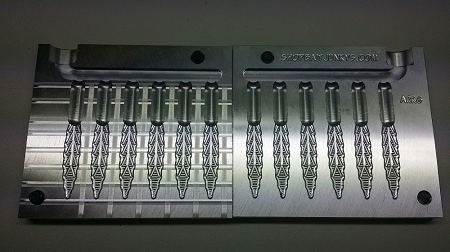 A 6 cavity tail mold is also available. Mold requires use of clamps, Not drilled for knobs. Shoots perfectly every time. Bait comes out nice and shiny.  I think this is going to be a killer drop shot bait and I think I'll also have to try it on a light jig head as well.